Served in the restaurant EssZimmer, the buffet offers a rich selection of bread, meat, cheese, hot and cold drinks such as espresso, cappuccino and juice. All rooms are equipped with broadband internet connection via cable and WiFi. LAN cables are available at the reception. Free WiFi connection is available on the ground floor and in the lounge of the hotel. At the reception there are two i-Pads for our guests to use. Outdoor parking adjacent to the hotel (first-come, first-served). Public parking is available in nearby Parking Mulin. The hotel has parking spaces reserved for guests. If you travel to Pontresina by train we will gladly pick you up from the station. Please let us know the details at the latest in the morning of your arrival day. Wellness center with sauna, steam bath, whirlpool and quiet room. From snacks to traditional Italian dishes, our restaurants cater for all tastes. Our lounge is the ideal place to get a drink, enjoy a digestif or simply chat with friends. Choose from 130 brands of whiskey. For moments of relaxation with spectacular mountain views. 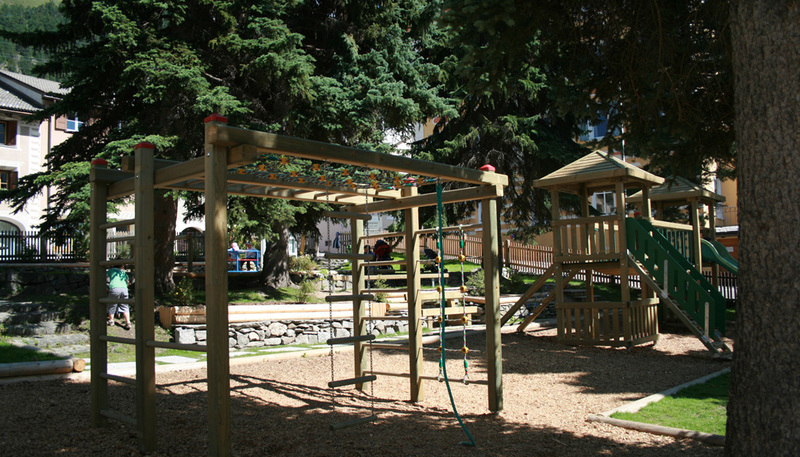 During the summer months our hotel has an amazing new playground with slides, swings, climbing structures, acrobatic platforms, spring toys, carousel, seesaw, table-tennis. For the winter season there is a playroom for our youngest guests. In both the main house of the Hotel Müller and in the Cà Rossa there is a comfortable and discreet oasis of well-being exclusively for our guests. 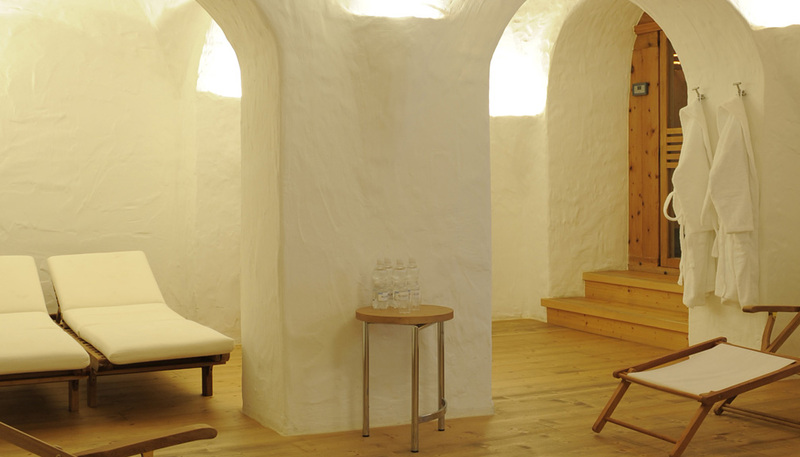 The relaxing environment and the sensitivity of the architectural structure promote harmony between body and mind. Showers, sauna, steam bath and whirlpool, make your stay more enjoyable. Our warm and friendly atmosphere is ideal for a stay with the entire family. To ensure fun-filled days to our youngest guests during the summer months we have an amazing new playground with slides, swings, climbing structures, acrobatic platforms, spring toys, carousel, seesaw, table-tennis. For the winter season there is a playroom. .